How is Visibility in Rank Tracker calculated? What does this metric mean and how do we calculate the visibility score? 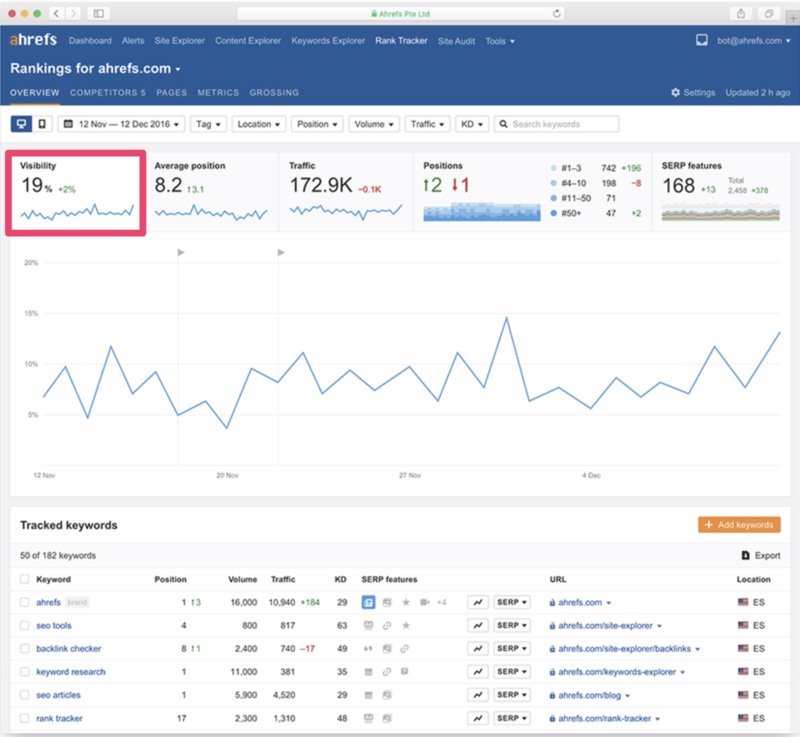 To put it simply, the visibility metric shows you the percentage of all possible organic clicks (from SERPs) for the tracked keywords landing on your website. The score is calculated by dividing the traffic to the site by the total search traffic for all keywords. Ranking for keywords with higher search volumes have more influence on the visibility score. If you only track a single keyword and all top 10 positions in Google are occupied by pages of your website (which means you get all possible traffic from that keyword) — your visibility is 100%. But if you only occupy the #1 spot, while the rest are taken by your competitors, your visibility would be somewhere around 30% (depending on the CTR curve of the search results for that particular keyword). Thus, if your average position is higher than your competitors, you will not necessarily have a better visibility score.